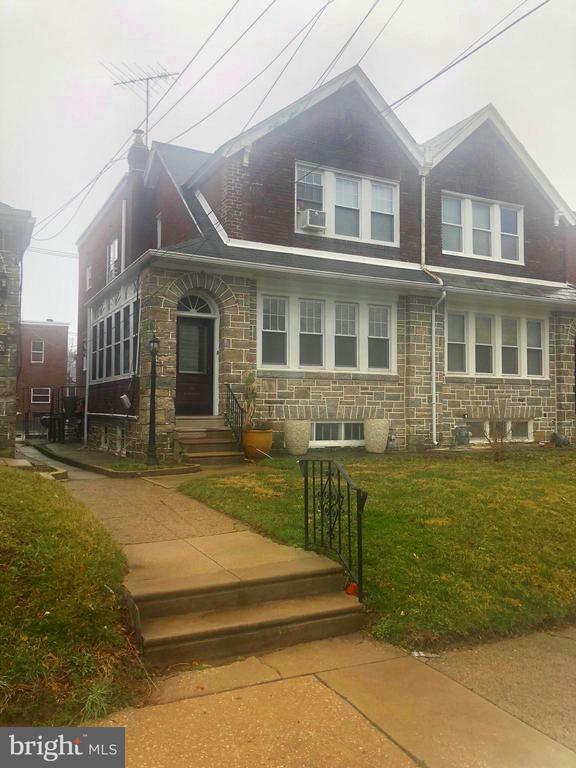 All Yeadon homes currently listed for sale in Yeadon as of 04/21/2019 are shown below. You can change the search criteria at any time by pressing the 'Change Search' button below. If you have any questions or you would like more information about any Yeadon homes for sale or other Yeadon real estate, please contact us and one of our knowledgeable Yeadon REALTORS® would be pleased to assist you. "Come see this fabulous remodeled single today, this home offers many excellent features that you are searching for in your next home. This solid brick home is situated on a large level lot, off street parking for 6+ vehicles, a great deck for entertaining, and a huge 2 car detached garage. When you first enter this wonderful home you have a bright enclosed heating porch with tile flooring, from there you enter into the comfortable living room with recessed lighting, fireplace, ductless AC system, and hardwood floors that flow into the dining room. There are two spacious bedrooms on the main level, with a remodeled center hall tiled bathroom. Also, on the main level is new modern kitchen with beautiful tile work, granite countertops, and stainless steel appliances. If you desire a large master bedroom you will be pleased as the entire second level is dedicated for this purpose.This room includes an updated master bathroom, with tiled walls and flooring, sitting room with stone electric fireplace, walk-in closet, new carpeting and electrical fixtures and ductless wall AC unit. 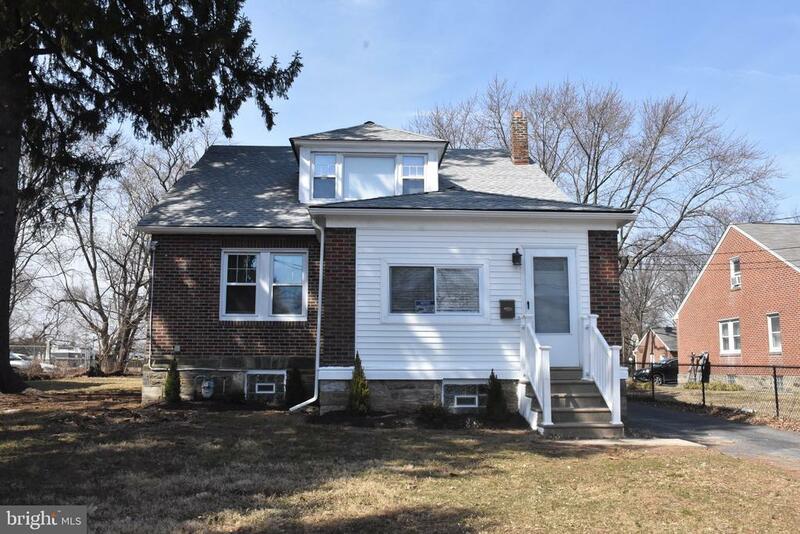 If all of these still isn't enough then view the finished basement, with new tiled flooring, interment area, extra bedroom and updated 1/2 bath. The basement also includes, ample storage and a new washer and dryer. Additional features that add value to this home, new roof, exterior doors and storm doors, garage door and landscaping." "This is a home for easy living and relaxation. Sit outside on the front patio or in the enclosed porch and watch the seasonal changes in the park across the street. Relax in the Jacuzzi and enjoy your spa like bathroom. The up stairs laundry room means no more lugging laundry baskets up and down stairs. Have a party in the basement rec area. Plan a cookout in the rear yard but no need to cut the grass. Just relax! Note! Laundry room is easily changed back to the third bedroom." "Welcome to 54 Lincoln Ave.~ This corner property offers some of the greatest potential seen in the area this year.~ The property is priced for upgrades, or be slightly touched up and moved right in.~ The current owner has maintained the property well.~ It boast 3 bathrooms, and 3 FULL bathrooms, one of which is in the finished basement.~ The next owner of this property will enjoy the ability to park 4-6 vehicles in the oversized driveway, as they host gatherings in the rear and side yards." 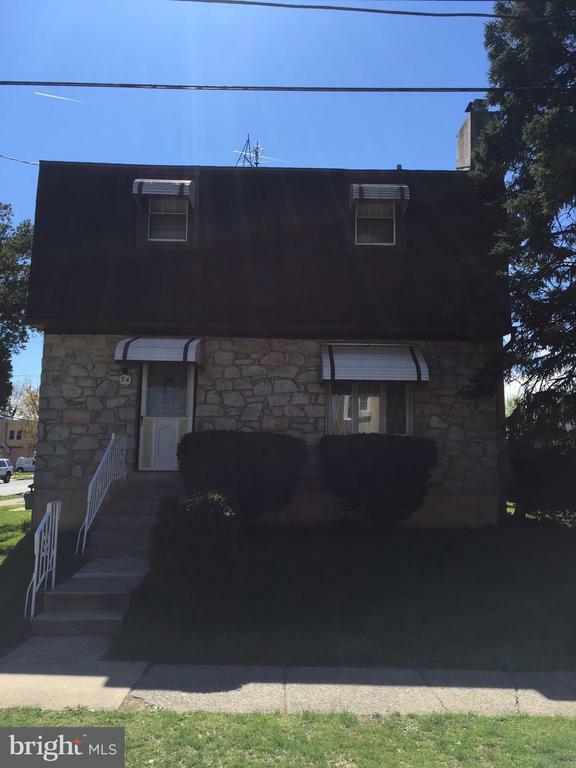 "Welcome home to this well maintained large home in the desired Yeadon township. It has 3 large bedrooms, 2.5 bathrooms including a mater's bathroom, a finished basement with a fireplace and a bar and a half bathroom, there is an attached garage. This home also has beautiful hardwood flooring though out, crown molding, 2 fireplaces, stone countertops, a large deck off the kitchen, updated main bathroom. You will not be dis disappointed once you enter in to the fabulous home. This home is located on a tree lined street, close to schools, public transportation, and shops." "Looking for a single stand alone home for a fantastic price? Well, you~ve found it. 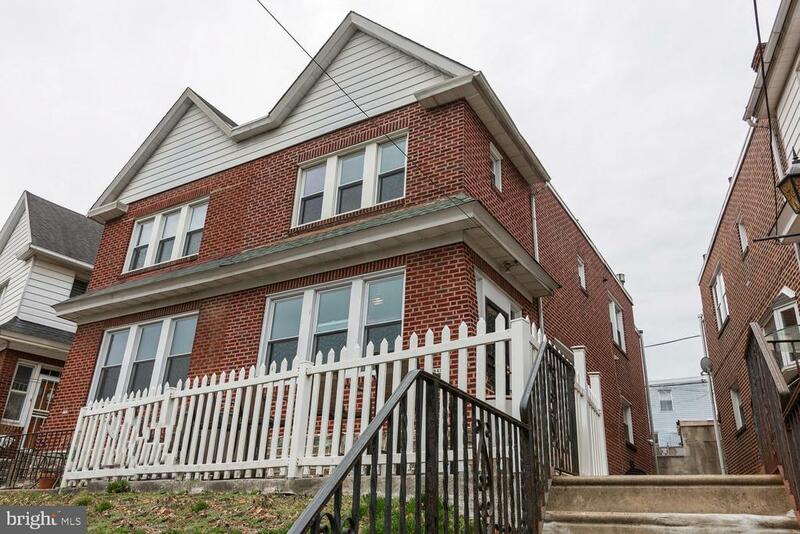 This spacious updated single home is located on a charming quiet street. It~s clear that you will be surrounded by other homeowners that care and take pride in where they live. This home has been recently updated for its new owners! The seller has upgraded the kitchen counters and modernized the bathrooms including new ceramic tile floors. Imagine winters relaxing by the fireplace in your large living room with hardwood floors that continue through out the home or entertaining in the bright and spacious dining room. The eat in kitchen offers plenty of cabinet space, garbage disposal, a large deep window seal perfect for potted plants or your favorite herbs to grow and thrive, stainless steel appliances including a dishwasher for your convenience. Enjoy access to the backyard through the kitchen as well to make those summertime backyard bbq~s super easy to host. The first floor also includes an updated half bathroom. You~ll be delighted as you head upstairs and enter the nicely sized master bedroom to find a large walk-in closet! There is also a linen closet in the hallway and finishing off the second floor is a full bath and two additional generously sized bedrooms all offering lots of natural light. Use your imagination to create that man-cave, additional bedroom, movie room or hang out spot in the finished walkout basement with lots of room for storage as well. The laundry room is also located in the basement and don~t worry, the washer and dryer stay with your new home too! That~s not all, there is also off-street parking with the detached garage and a considerably large backyard for the swing set you~ve always wanted space for, the pool or perhaps some table and chairs with the large umbrella to chill out in YOUR backyard on those perfect summer days. Make your appointment today!" 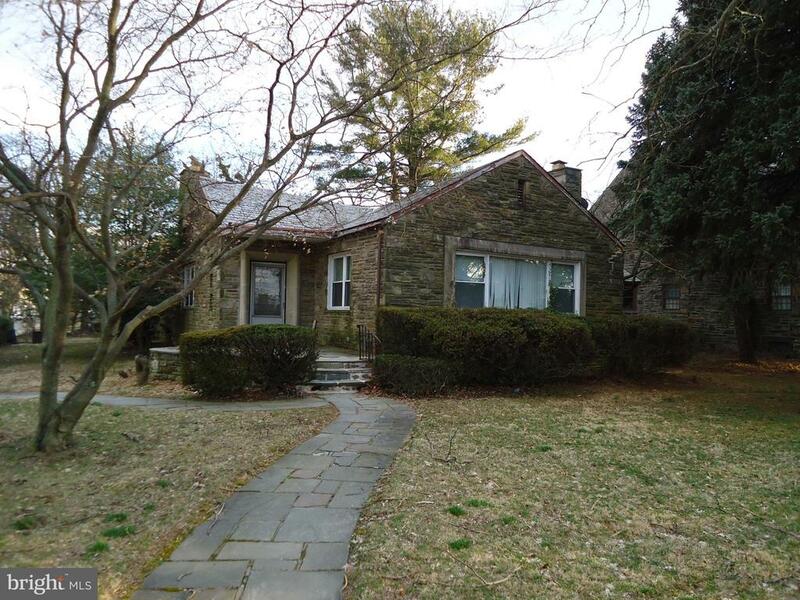 "Beautiful stone single on a generous corner lot. The problem? Well, there's a western wall that is nowhere near straight up and down, and herein lies the problem. That probably turns this short sale into a contractor special. Get out your ball point pen, run some of back of the envelope numbers, and get me your offers. Pronto." "Property might be a short sale. Property Sold As Is. Lock Box is at the rear of the property in front of the garage. You might need flash light in some areas in the house. Buyer responsible for U&O and all certs required by the county. Property needs work. United Real Estate does not hold earnest money deposit." 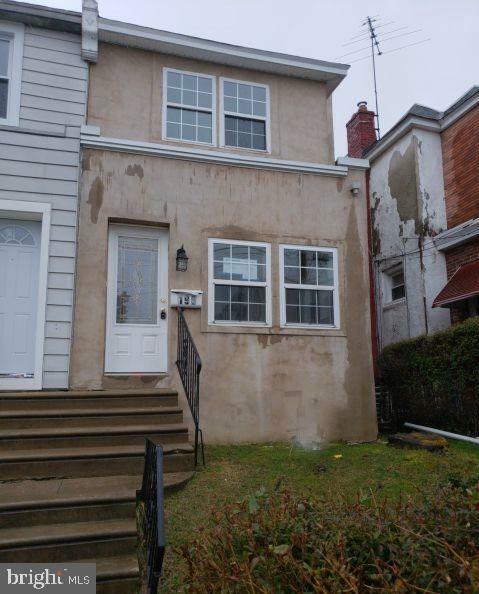 "Don't miss the opportunity to own this 3 bed, 1 full and 1 half bath home features a dining area, fireplace in the living room, carpet floors, beautiful windows letting natural light and the sun in, and sliding door to a nice rear deck to sit and relax on! The eat-in kitchen has granite countertops, nice tile backsplash, wood grain built-in cabinets & appliances. Beautiful windows letting natural light and the sun in. Great opportunity to make this your own! Conveniently located near schools, shopping, & everything Yeadon has to offer! Property is owned by the US Dept. of HUD. HUD Case # 446-046968. Subject to Appraisal ~ This property is Insured Escrow. EQUAL HOUSING OPPORTUNITY. Seller makes no representations or warranties as to property condition. HUD Homes are sold ~AS-IS~. Seller may contribute up to 3% for buyer~s closing costs (upon buyer request). All Pre-1978 Props need to include the Lead Based Paint Notices. All information and property details are deemed reliable but not guaranteed and should be independently verified if any person intends to engage in a transaction based upon it." 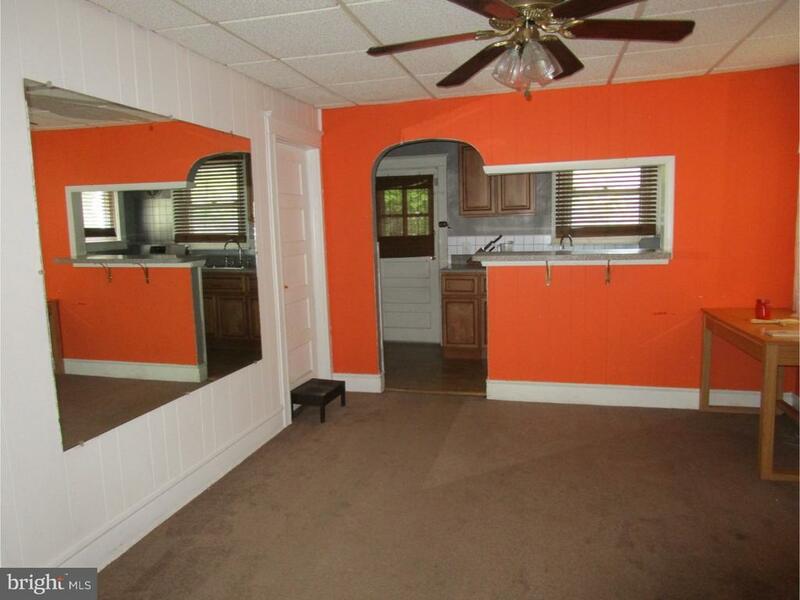 "Opportunity to buy a house that needs TLC to make it your home, 3 bedrooms, 1 bath, Eat in Kitchen, Large dinning and living room, front porch, semi finished basement, make offer today." "~ ~Previous buyer had trouble with their mortgage, so YOU have the Chance to make This House Yours - THIS could be YOUR Good Luck!~ ~ Have YOU been looking for a property with minimal TLC needed? Want to get YOUR Start in Home Ownership? Then YOU have found it - 408 Walnut is for YOU! Welcome to Suburban Living, on a Very Quiet Street - only 10 houses on the block without through-traffic! Twin Homes mean Bright Window Light in Every Room! Enclosed Front Porch means Warmer in Winter, Cooler in Summer! The Galley Kitchen has seen some improved Details, and the Large Dining and Living Room is YOUR Open Floor Plan! Newer Carpets, a Large Basement, and Three Great Bedrooms make this home Very Attractive for Anyone Wanting Their Space! With the Right Offer, the Refrigerator will remain for the New Owner! 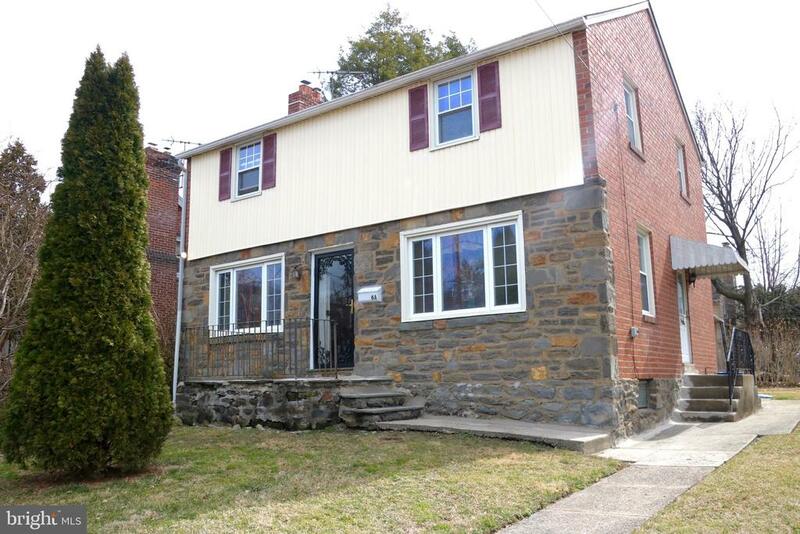 408 Walnut is YOUR chance to get a Great New Home for Under $100k!"